Rolex, along with many other manufacturers in the watch industry, have not entirely embraced the Internet. There are some notable watch companies who have robust Internet presences, but by and large, watch companies see thean Internet presence as nothing more than a billboard along the freeway. It is apparent that Rolex sees the Internet as a method for getting potential watch customers into their network of brick and mortar Authorized Dealers. Rolex’s thinking is that once a customer is in a Dealer, the sales staff can pull the customer in. Despite this thinking, one area that Rolex excels is their relatively recent publication of iOS apps. Rolex published and updated their Perpetual Spirit Magazine via an iOS app, and rolled out their Basel offerings via an iOS app (read about it here). Like its other iOS apps, Rolex now has updated their iOS app of their Tudor watch line. It is apparent that Rolex is using the iOS platform to reach and entice current and potential customers with their latest offerings. Rolex has a long history of publishing stellar collateral materials for customers. Rolex’s catalogs and marketing materials are always top-flight. Unfortunately, the high cost of these materials makes them rare items at an Authorized Dealer. Rolex distributing minimal collateral materials for customers such as catalog to drool over makes the brand less accessible for potential watch wearers. Every watch customer wants to leave a Dealer with something in their bag to ruminate over the following days. Rolex is attempting to fill this gap with its iOS apps by publishing interactive magazines. 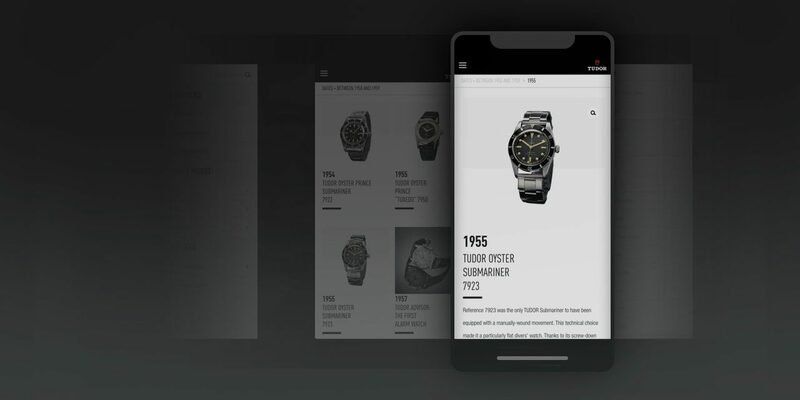 Even though Tudor is positioned in the Rolex watch line as the “accessible” watch for Rolex fans, their Tudor app has the same top-notch images and functionality as their other apps. (See what is the difference between a Tudor and a Rolex at June 7, 2012). Like its other iOS apps, it is designed only for the iPad so that there is the screen real-estate for its stunning images and videos. The Tutor iOS app updated last week, profiles Tutor’s latest models unveiled at Baselworld 2012. The Heritage Black Bay model pays tribute to Tutor’s history with a reinterpretation of a traditional Tutor model created in 1954. The app shows in stunning detail with both still images and video every angle of the watch, a feature that an analog catalog can’t do. The app also features the Tudor Pelagos. a new watch made entirely of titanium and waterproof to a depth of 500 meters. There is no other all titanium watch in the Tudor or Rolex line, making this model a true standout. The helium escape valve on the Pelagos is only found on vintage Sea Dwellers and Rolex’s top end Deep Sea Sea Dweller, and no other Rolex model possesses and auto adjustable bracelet. Rolex’s strategy of publishing and maintaining iOS interactive magazines/catalogs definitely hits the mark. More on the difference between Tudor and Rolex is posted here.